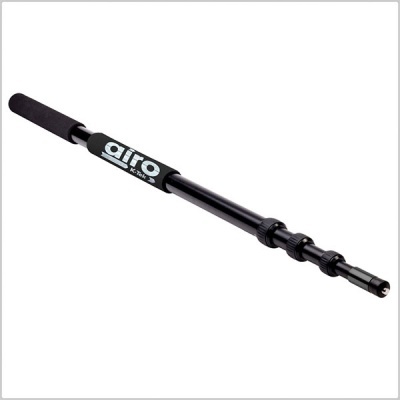 The Airo Boom Pole 1 is a practical tool for most situations when recording sound and the microphone needs to be close to the audio source. The telescoping pole also makes an affordable and solid antenna mast on a sound cart. The ABP1 is uncabled. The Airo Boom Pole 1 has a collapsed length of 3’2.5” (98 cm) and an extended length of 10’10” (330cm) and only weighs 1.6 lbs (735 g). 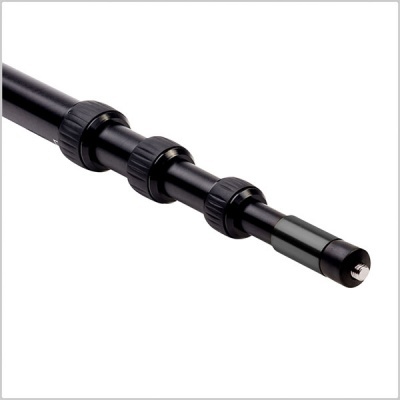 This uncabled aluminium boom pole features four non-rotational sections. 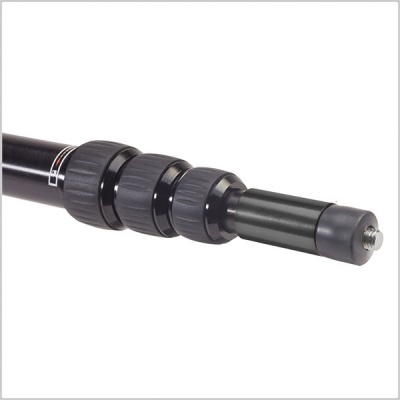 The top attachment is a 3/8”-16 male thread and the bottom attachment is made of anodized aluminium; both are removeable. Rubberized collars easily lock and unlock with minimal twist movements. 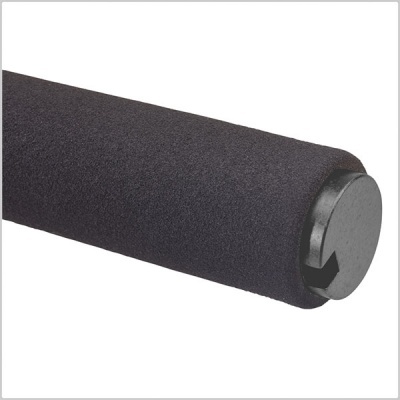 Foam grips reduce handling noise and offer comfort during longer takes. I wasn't planning to buy a new boom pole, but so pleased I did. 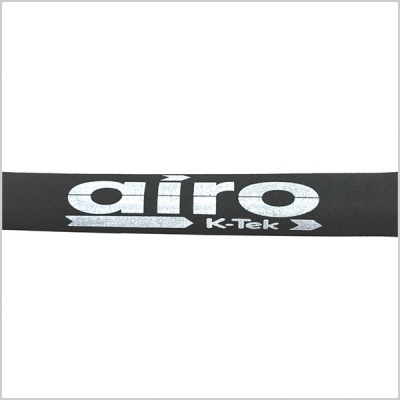 The Airo feels sturdy and the simple twist collars for extending the pole are really easy to use and lock in place as expected. 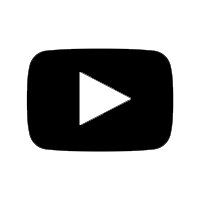 I have used it at the full extent ( just 6 inches per section overlap) with a 22" Rycote blimp and there is minimal flexing. Great pole for the price with long reach.